Consumers are awaiting details about possible tax cuts by the federal government while individual states are on the defensive about proposed cuts in federal subsidies. States may need to find new sources of income, especially states in financial duress, in order to bring in additional needed funds. Taxing gasoline is controlled by the states, not the federal government, allowing states the ability to impose taxes in a variety of different ways. 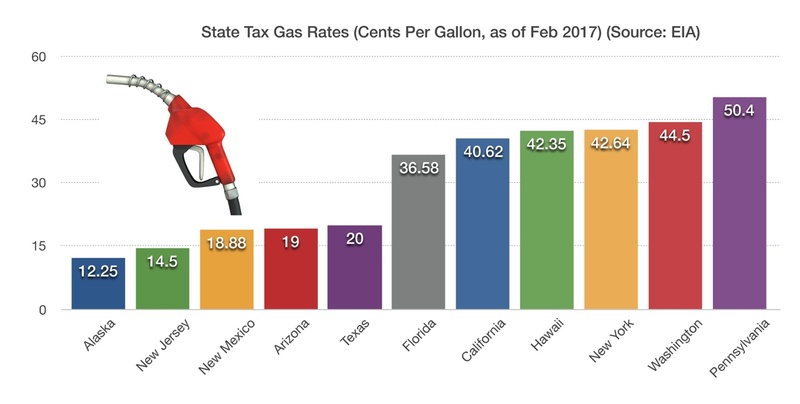 Some states use a flat per-gallon tax rate, other states apply gasoline wholesalers a tax on the wholesale price of gasoline and other states charge a sales tax on the purchase of gasoline. Proceeds from the gas tax are also used differently from state to state. Some states use the income for highway and infrastructure repair, while others apply the funds to designated public works programs. Should the federal government alleviate state funding, as has been proposed, then some states may need to raise the gas tax in order to cover any shortfalls.